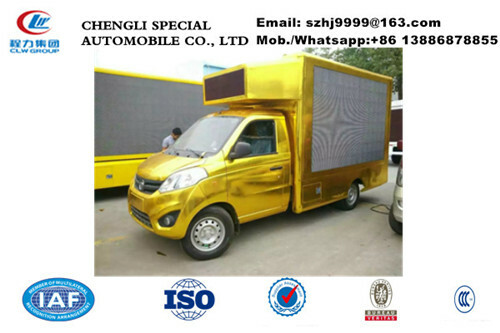 The led advertising truck is also called mobile advertising truck, mobile led screen truck, truck mobile advertising led display, led truck,etc.The mobile led truck consist of chassis, led screen, light box, generator, PC controller, loudspeaker, etc. It mainly used to display the advertising across the city for supermarket, government, large company, etc. 1. 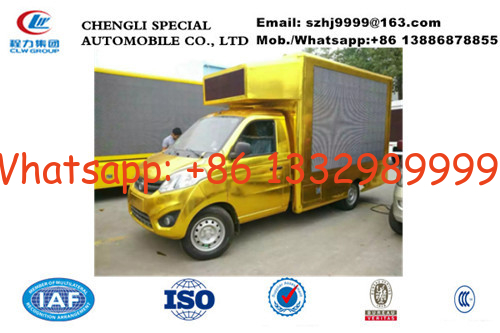 P6,P8 and P10 full color led screen for optional, meet all customer's requirement. 3. Double color scrolling marquee on the rear door. 4.Equipped with high quality play devices. perfect listening effect. 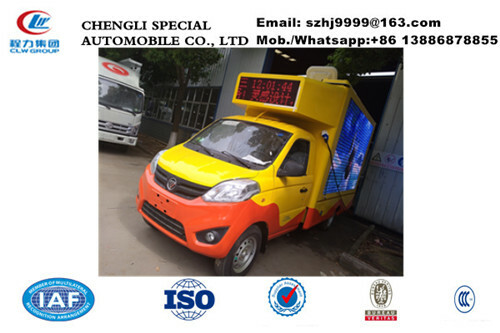 More pictures of hot sale Foton gasoline mini mobile LED advertising vehicle manufactured by Chengli Special Automobile Co., Ltd. as below. 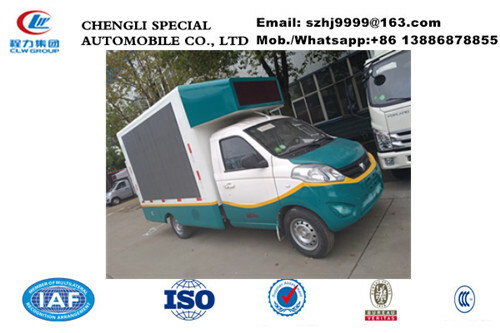 lightness is up to 7000cd.LED transistor are all famous brand in China.